Samara Private Game Reserve – Karoo Lodge is situated in the malaria-free Eastern Cape where time stands still, inviting you to pause, breathe and reflect. Discover the Africa one always dreams and reads about, with spectacular sunsets and starry skies, surrounded by 70 000 protected acres in the Great Karoo. Be inspired by the conservation projects where every effort is being made to preserve global biodiversity in this unique environment. Luxury Karoo cottages in the garden and en-suite rooms in the restored homestead offer Colonial-style comfort to a maximum of 12 guests in Karoo Lodge. Relax on the wide wrap-around veranda, cool off in the pool, or for the more energetic, perhaps play a game of tennis. 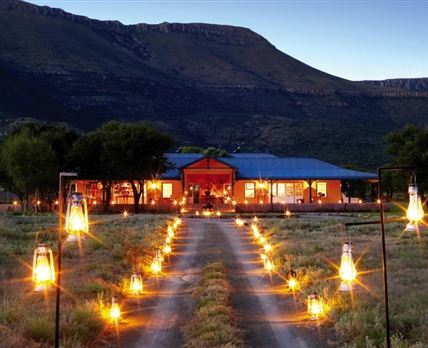 Click here to enquire at Samara Private Game Reserve – Karoo Lodge.